Jensen said that in an interview with us at the start of the 2019 Spring split. By the end of the 2019 Spring Semifinals, he showed everyone exactly what he meant. Jensen earned a combined K/D/A of 10/2/8 in games 2 and 3. He also solo-killed Pobelter and Wildturtle. Talk about putting your opponents into the ground. At a surface level, Jensen’s game is all playmaking. He finds solo kills and big plays in every series he wins and puts up stellar K/D/A’s, but the big plays are the tip of the iceberg. The true source of Jensen’s Titanic sinking skill is his big brain. Saying that you make “the least amount of mistakes,” might seem like a humble way to call yourself the cleanest mid in NA, but it’s more than that. Where clean means tight micro execution, mistakes apply to all parts of the game. Jensen showed exactly what he meant in Semifinals, where he made very few mistakes and most of them were isolated to game 1, where the team played a composition they hadn’t practiced as much. Even then, Jensen slipped up a few times. He overextended in a side lane, botched a flash on a Sleepy Trouble Bubble, and moved out of a Taric ultimate. In games 2 and 3 he came back error-free and unstoppable. When we talk about players being unstoppable we often think of big 1vX scenarios and mechanical outplays. In League, a lot of the true skill sits underneath the surface and comes from smart habits as much as mechanics. Those habits are how Jensen sets up his biggest plays. Both of Jensen’s solo kills in game 3 came more from brains than mechanics. In game 3, Jensen’s first solo kill on Pobelter starts well before he drops ignite. At about 4:15 Jensen has a Redemption active in his back pocket. He sees that the wave is already pushing and so it doesn’t make sense to use it on the creeps, as Zoe's often do. Instead, he drops it on Pobelter, forcing the Flyquest mid to walk straight back to avoid damage, making it easy to hit a Sleepy Trouble Bubble. Since Pobelter is playing Orianna he can shield most of the damage. However, the whole exchange forces Pobelter to use more spells for his own safety and to clear the wave. About 30 seconds later, Jensen can solo kill Pobelter without hitting an ability besides Ignite (point-and-click ability, by the way). This is because Pobelter doesn’t have the mana he’s used to having in these situations, tries to trade, and can’t shield himself. Masterful mechanics were at best 10% of what went into the solo kill. The other 90% was pure, unadulterated brains. Jensen flat-out outsmarted Pobelter. The second solo kill tells a similar story. Jensen approaches Wildturtle under the tower and aims a Paddle Star towards the tower. The Paddle Star whiffs, but it doesn’t matter. The Paddle Star pushes Wildturtle to move forward in an obvious pattern, making it easy for Jensen to hit a Sleepy Trouble Bubble and get a kill. This play was more mind games than mechanics, as Jensen fires up the Paddle Star well in view of Wildturtle, making it easy for the Flyquest ADC to read and dodge the skill shot, and easier for Jensen to read Wildturtle’s movements and land the skill shot that matters. Conditioning isn’t just a term for fighting games. Jensen’s knowledge isn’t limited to the in-game micro moments either. When Jensen speaks about League, it’s clear that he’s thinking about the game on a higher level. 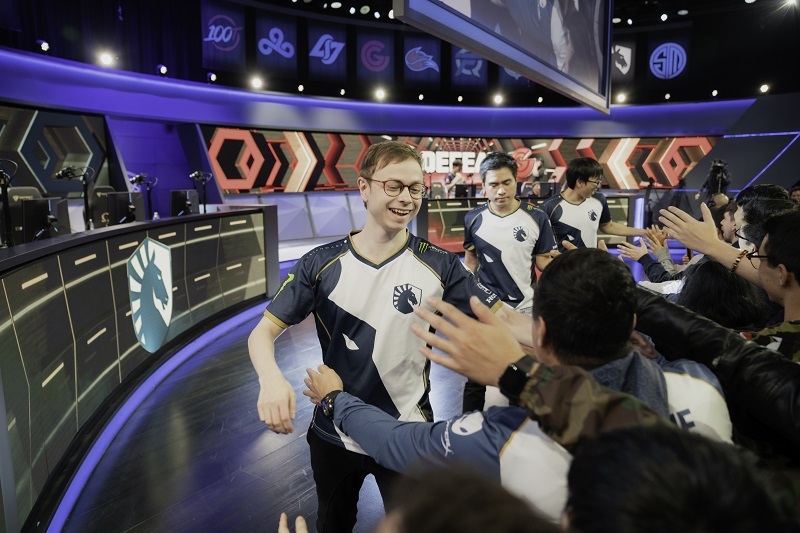 Jensen eschews a lot of the common tropes and beliefs about League, whether it comes to synergy, meta, or playstyle, and talks about a subjective game filled with team-wide choices. Jensen doesn’t view synergy as a style match, as armchair analysts tend to see it. Creating a team isn’t matching high tempo players with high tempo players and a superteam isn’t playmakers at every position. It’s also about finding people that can work together. 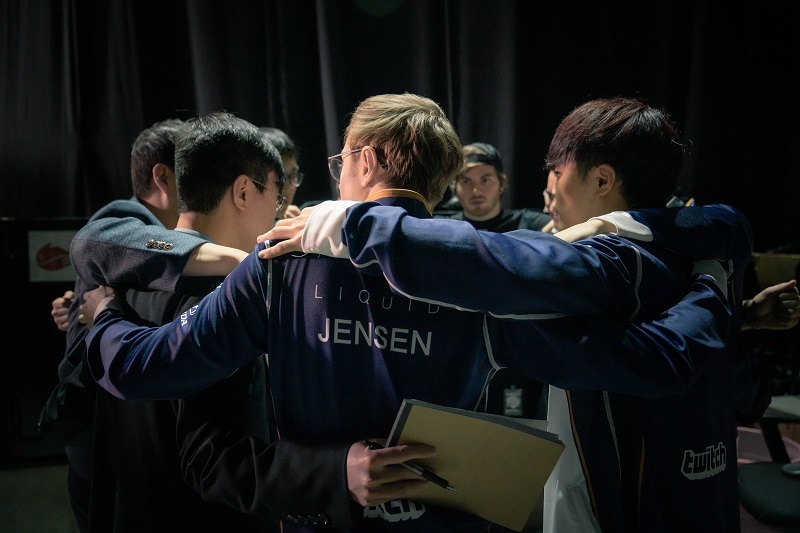 When Jensen praises his teammates, he praises them for their ability to work as a unity, not to dominate their own lane. I asked Jensen about his jungler and he didn’t talk about mechanics or macro, he talked about communication. “Xmithie is a super chill guy and super down to earth so it’s pretty easy to talk to him about stuff and figure out stuff. [...] It’s been pretty easy working with him so far.” The same thing happened when we touched on Jensen’s former teammate, Impact. Though the playmaker mold fits Jensen, it’s not one that confines or defines him. Jensen is one of NA’s winningest mid laners and all the W’s he’s picked up over the years have come as much from his intelligence out of the game as much as the plays he makes within it. Jensen understands the team dynamic as well as the lane dynamic and makes the team’s voice and style the main focus. More than just intelligent, Jensen is wise. He is a player that helped pull his team out of slumps that dismantle franchises and careers. He is a player that helped lead NA to the highest peak the region has ever reached. He is one of the most successful players that hasn’t yet won a title. This weekend he’s returning with one of the best rosters NA has ever seen, and he’s ready to show just what NA’s wisest midlaner can do.